In Va’era, we find two important stories that reflect on the tension between human love and Divine will. This clash is found in the biblical account of the expulsion of Hagar and Ishmael from Abraham’s home, as well as in the dramatic account of the עֲקֵדָה , Akeida, Abraham’s binding of his son, Isaac, in preparation for offering Isaac up as a sacrifice to God. The story of expulsion of Hagar and Ishmael takes place soon after the weaning of Isaac. In Genesis 21:8, the Torah reports, וַיִּגְדַּל הַיֶּלֶד וַיִּגָּמַל, וַיַּעַשׂ אַבְרָהָם מִשְׁתֶּה גָדוֹל בְּיוֹם הִגָּמֵל אֶת יִצְחָק , The child [Isaac] grew and was weaned. Abraham made a great feast on the day Isaac was weaned. But things are never simple in patriarchal families. In the very next verse, Genesis 21:9, we are informed, וַתֵּרֶא שָׂרָה אֶת בֶּן הָגָר הַמִּצְרִית, אֲשֶׁר יָלְדָה לְאַבְרָהָם, מְצַחֵק, , And Sarah saw [Ishmael] the son of Hagar, the Egyptian, whom [Hagar] had borne to Abraham, mocking. Sarah immediately demands of Abraham: “The son of that slave woman shall not inherit with my son, with Isaac!” and insists that Abraham drive out both the slave woman and her son. The Torah reports that Abraham awakened early in the morning, and sent Hagar and her son off with only a bit of bread and a skin of water. Hagar, however, loses her way in the wilderness of Beersheba and when the water in the skin was entirely consumed, in desperation, Hagar throws Ishmael beneath one of the trees so that she would not see the death of the child. She then sat down at a distance, lifted her voice and cried. An angel calls to Hagar from Heaven to tell her (Genesis 21:17), אַל תִּירְאִי, כִּי שָׁמַע אֱ־לֹקִים אֶל קוֹל הַנַּעַר, בַּאֲשֶׁר הוּא שָׁם Do not be afraid, for God has heard the cry of the youth in his present state. The angel instructs Hagar (Genesis 21:18-19), to rise and lift the child, and to place her hand on Ishmael, “for God will make him into a great nation.” Hagar’s eyes are then opened, whereupon she sees a well of water and gives the child to drink. Scripture then notes that God was with Ishmael, and that he grew up in the wilderness where he became an accomplished archer. Hagar made certain that Ishmael married a woman from her native land of Egypt, further estranging him from the Abrahamic roots and traditions. Sarah’s demand to banish Hagar and Ishmael appears to be entirely incomprehensible and unreasonably harsh. While it could be attributed to Sarah’s long barrenness and overprotective mothering, it must certainly be part of the Al-mighty’s Divine plan. Sarah seems to understand better than Abraham that all of the extraordinary events that are transpiring are part of a Divine scheme. It is not surprising therefore to see that her actions find approval with God, while Abraham’s do not. In order to fulfill the Divine mission that God has chartered for Abraham, and later for both Isaac and Jacob, Abraham’s natural feelings of compassion for both Hagar and Ishmael must yield to the Divine plan. The same is true of the story of the Akeida–the Binding of Isaac. Perhaps that is why the rabbis arranged that both stories are read on Rosh Hashana, the day on which Jews the world over are encouraged to realize that the only way to live a meaningful and fulfilling life is to sublimate one’s own feelings and desires, and follow the dictates of God as recorded in His Torah. Without an appreciation of the great Divine plan, it is impossible to understand how the exceedingly compassionate Abraham could have expelled both his child and his wife from his home. 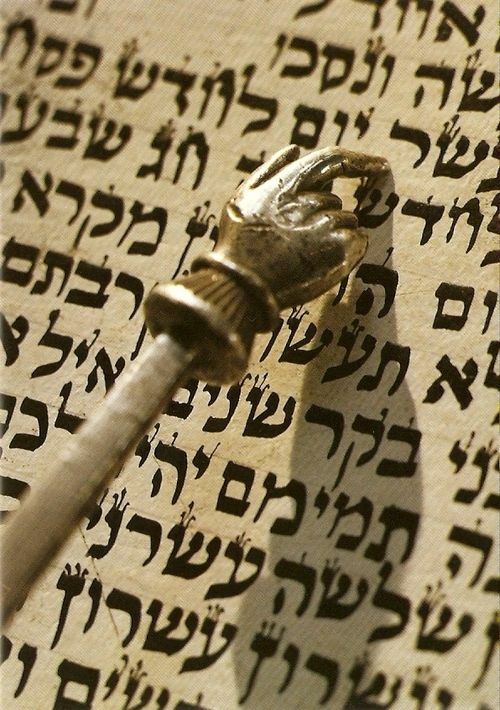 Without the realization that God has a cosmic plan for His People that will revolutionize civilization and the world, most, if not all, of Jewish history remains incomprehensible. After all, who could fathom that the great matriarch, Sarah, would demand that her own loyal handmaiden, whom she insisted that Abraham take as a wife, be cast into the wilderness with only a morsel of bread and an inadequate skin of water?